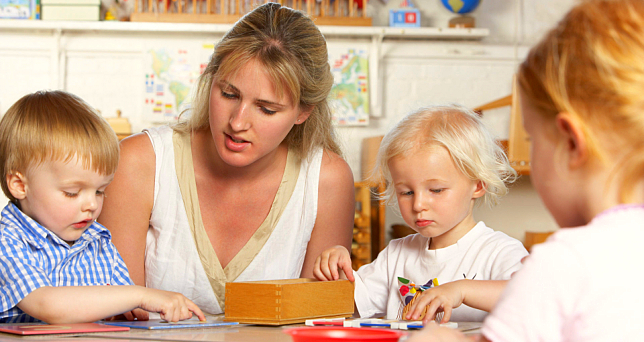 ← How Can a Daycare Benefit Your Child? Early education is something that is not required for your child to succeed in school and life, but it can really help give them a huge step-up! One Step Up Early Child Care LLC is a daycare in Maryland that also offers exceptional preschool services. If you want to ensure that your child is prepared for school, enrolling them into our preschool classes is the best way to do that. Here is why this is so important. Sponges: Young children are like sponges. They go around soaking up all of the information and knowledge they possibly can. So why not place them in an environment full of useful knowledge? As a preschool in Lanham, MD, we strive to provide a learning environment that is safe and fun. This is so that your child is given the opportunity to learn as much as they want at their own pace. Classes: We offer a number of different topics and classes with our preschool program such as art, music, language, reading, vocabulary, writing, and more. It is our goal to provide a fun and exciting way to prepare your children for not only kindergarten, but for the rest of their schooling careers. For Life: Believe it or not, but the skills and the knowledge that your children will learn now will stick with them for the rest of their lives. For example, children who learn how to socialize or get along with people now will be able to work better with people when they are an adult. This is why it is so important to ensure they are receiving the best early education possible! Fun: Even though we aim to provide your child with excellent education, we still want it to be fun as well. It is our goal to make sure your child is excited to come to us every single day, and we will do this by making learning fun! If you want your child to excel in life, you cannot go wrong with enrolling them into our preschool program. If you would like to learn more, please visit our website www.onestepupearlychildcare.com for more information.